Brian Jones: Let's face it; the future as a Rolling Stone is very uncertain. I viewed a bootleg copy of "Charlie Is My Darling" forty five years after it was originally filmed. As much as Brian Epstein was the fifth Beatle, Andrew Loog Oldham was the sixth Stone. Andrew Loog, in 1965 liner notes heralded this music as "New groovies...abound to the sound of the Rolling Stones." Whereas fifth Beatle Brian Epstein was, brilliant/erudite/invisible, sixth Stone Andrew was a pure jabberwocky genius. "Charlie Is My Darling" is the anti-Christing of "Hard Day's Night." 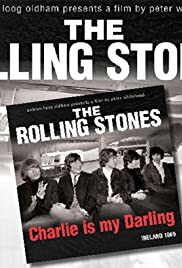 Pardon my excessive numeralizing, but, in 1966, Andrew Loog prominently featured First Stone Brian Jones when he/Charlie/Bill/Keith/Mick –collectively the Rolling Stones–were mere Rolling Pebbles. For any Stone fan who was their from that infancy...This rockumentary is a must see!